This work was created for the publication The Sages. I created both the front and back cover, as well as a diptych that was printed within the publication itself, along the theme of "the unknown". At the end of August, 2012, I went by myself to New York City. I had been there before but never completely on my own, always with others to show me maps, to lead me around, to meet back up with me later. When you’re alone in a big city sometime you feel invisible, you’re so immersed in your own thoughts and your own mind. My camera is my favourite travel companion - it’s a way to point to things and say “look at that” or “this is important” for myself, and then to have those feelings reflected back at me in a very intimate way later. 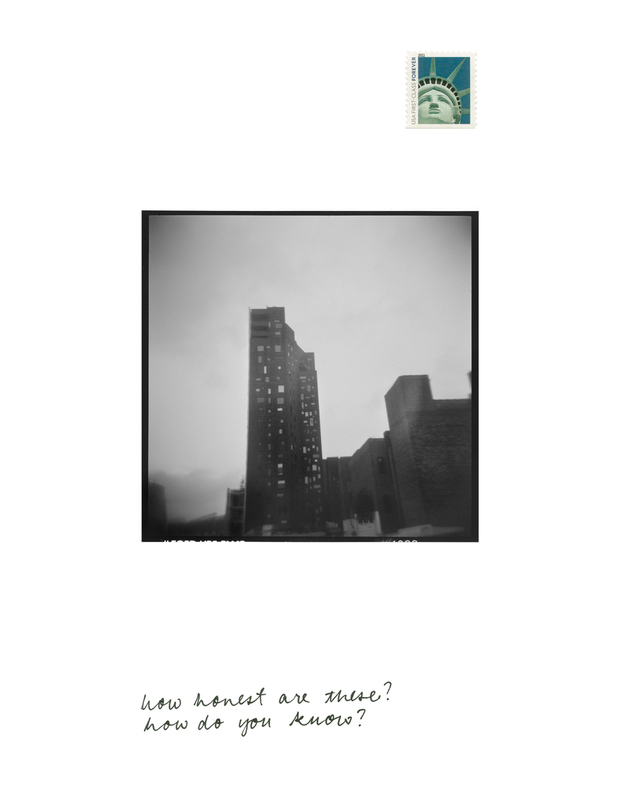 These images are a kind of journal, a composite after the fact of thoughts, images, objects and texts that in some way reflect my time in new york, when I jumped off into the unknown.